Experience sightseeing at its finest by visiting Varna, the renowned sea capital of Bulgaria. Varna’s tranquil seas, which are free of raging tides, are sure to captivate you and help you unwind as you’re exploring the city. 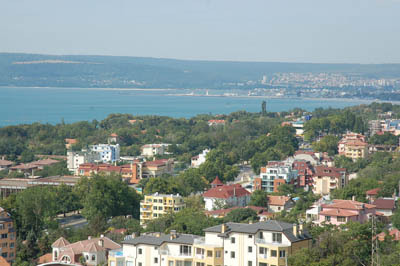 Also known as the jewel of the Bulgarian Black Sea, the city of Varna lies at the tip of the huge Varna bay. Along the shore are picturesque spots such as the Balchik Royal Palace, Kamchiya’s nature reserve, and Aladzha’s hillside monastery. The beautiful scenery gives beachgoers more reasons to travel to Varna. The peak season for Varna’s tourism is during the months of July and August when people flock to the beach resorts and bask in the summer heat. Varna, just like the amazing cities of Plovdiv and Sofia, has its fair share of contribution to Bulgaria’s culture, history, and tourism. In Varna, tourists have plenty of historical structures, museums, art galleries, and cultural attractions to visit. Plenty of stunning Bulgarian sights can be found in Varga. The main landmark at the center of the city is the Varna Cathedral, which is a distinct Varna icon because of its stained glass and murals. Varna is also home to the so-called Roman Baths that once enjoyed the distinction of being one of the largest buildings in the Roman Empire. The ruins of the building are a testament to the lost wealth and significance of the town. Lastly, one of the finest attractions and the first of its kind on the Balkan Peninsula is the Dolphinarium in Varna where families can enjoy watching shows of sea mammals.